The F-117 Nighthawk was arguably one of the ugliest, yet most interesting aircraft to come out of Lockheed’s famed Advanced Development Programs section, aka Skunk Works. The Nighthawk was part of a Special Access Program or “black project”, meaning that its very existence was denied and classified but to the highest echelons of military and defense command. In fact, the Nighthawk flew for nearly six years on active-duty before its existence was acknowledged with the release of a somewhat blurry picture of one of the Air Force’s Nighthawks to the public. Two years later, people got a glimpse of the odd-looking attack aircraft during a public display when two were flown to Nellis AFB in broad daylight for just a single day. The Nighthawk program was overall considered a highly successful venture into modern stealth aviation. A number of lessons learned including improved and advanced targeting systems and radar-absorbent materials/coatings were kept in mind with the construction of Lockheed Martin’s later projects, namely the F-22 Raptor and the JSF/F-35 Lightning II. 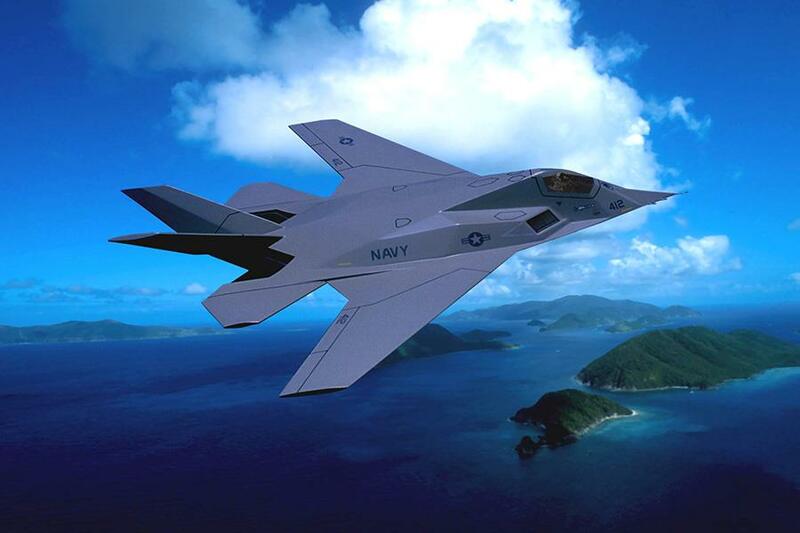 With the end of production of Nighthawks looming in the early 1990s, Lockheed Martin offered a new aircraft, based on the Nighthawk, to the Navy. It would be a subsonic stealth carrier-capable fighter/attack aircraft that would take the place of the result of the canceled Advanced/Fighter-Attack program of 1992. The F-117N nicknamed the Seahawk, would retain the original angular and multifaceted fuselage of the Nighthawk but would fly with newer engines based off of General Electric’s F414 turbofan, originally slated to be used on the Mcdonnell Douglas A-12 Avenger II, an aircraft which would have replaced the A-6 Intruder but was canned by the Department of the Navy during development. The wings, which would be able to fold for storage aboard a carrier, would be given a 42-degree sweep, compared to the Nighthawk’s 50-degree. The new design called for stabilators and a “double-slotted” trailing edge, granting the aircraft greater handling characteristics than its land-based brother, a larger weapons bay capable of carrying air-to-air missiles. As expected, the undercarriage would be strengthened to handle the jarring effects of landing aboard carriers and a tailhook would be installed in the rear, housed in a recessed compartment to preserve stealth. Interestingly enough, Lockheed Martin submitted it also as an alternative to JAST. However, the Seahawk was doomed to fail right from the time Lockheed’s executives mentioned it to Department of Defense officials. It was marketed as a multi-role aircraft, able to accomplish a variety of missions rather than being relegated to just the attack role. However, after quick consideration, the DoD felt that investing in the hypothetical F-117N would take away vital funding from what would eventually become the Joint Strike Fighter program. 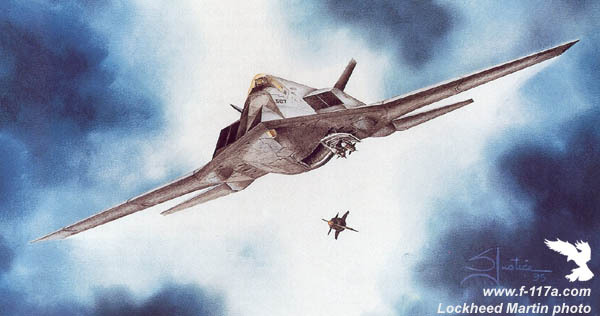 The Navy’s requirements for the JAST/JSF aircraft were far more demanding than what the F-117N could live up to. Now, 20-something years later, we have the F-35C, the aircraft that the Navy would ultimately choose to fill the role that Lockheed had originally proposed with the Seahawk.